How do I review a completed Activated Checklist? When a Supervisor Sign-off has been added to an Activated Checklist, the supervisor or buddy assigned will receive an email from Way We Do asking them to review and confirm that a completed Activated Checklist is accurate and is completed as per the team member's sign-off request. Additionally, Administrators are able to click on any Activated Checklist and click the "Activity" tab. All instances of the Activated Checklist are displayed under the Activity tab. Simply click on the Activated Checklist instance and review each step's comments. You are also able to click on the "Comments" icon to take you directly to the feedback provided by your team member. 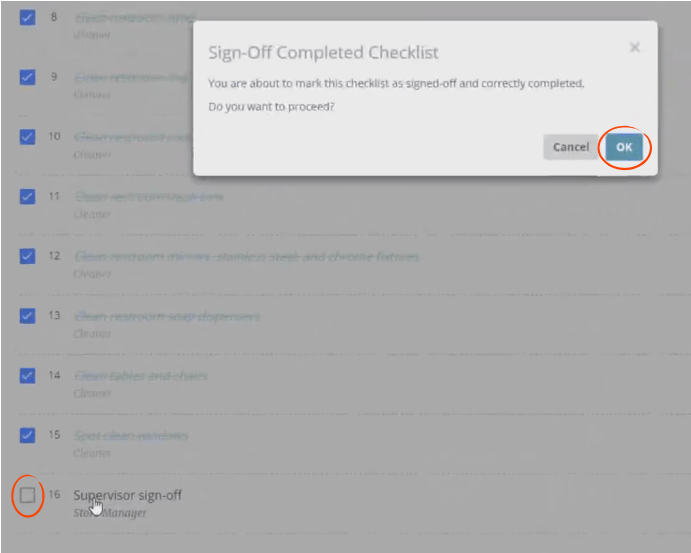 To sign-off on the completed Activated Checklist, simply click the checkbox next to the Supervisor Sign-off task. Where has the Activated Checklist gone? It’s missing or disappeared.